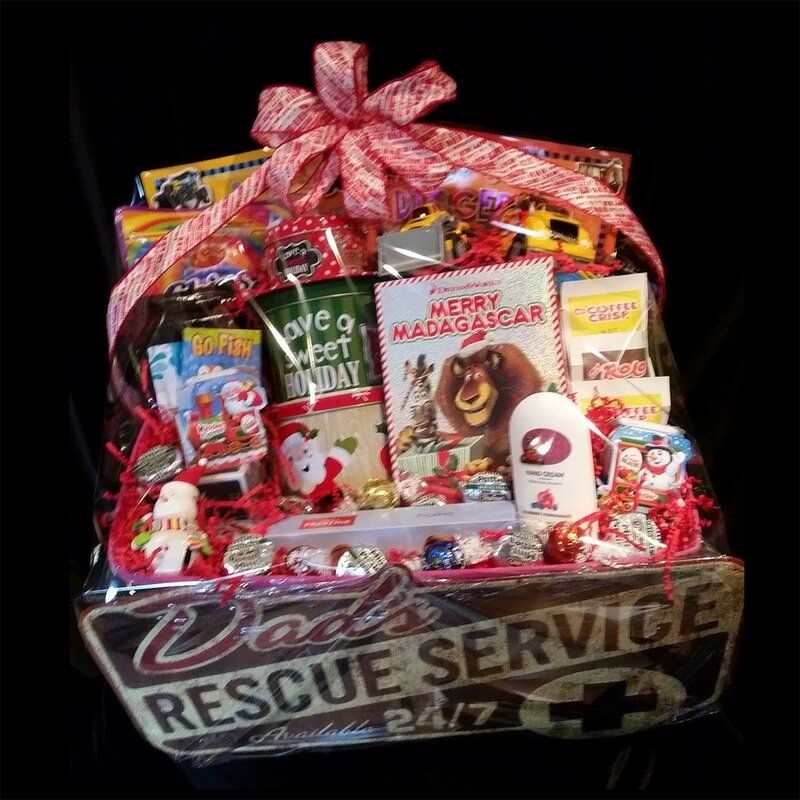 Are you looking for the #1 Holiday Gift Baskets in Winnipeg Manitoba? Rejoice for the great time of holiday seasons! Not only does it steal a break from hectic work schedules but also calls for a celebration with family, friends and loved ones. Why not make the celebration twice as fun? Give the gift of a beautifully packaged, lively holiday gift basket, for your friends and family. As with all of our gift baskets, the holiday gift baskets are fully custom and unique. There are no two baskets the same, ensuring you don’t give the same gift as someone else. Holiday’s are not limited to just one time of the year. Give a holiday gift basket any time of the year! Give one for Valentines Day, Easter, Thanksgiving, Christmas or any Holiday that is special to you. Each Happy Basket is designed to suit your desires and specific holiday needs. You can have everything from traditional chocolate baskets filled with a variety of delicious chocolate treats. You can even have old-fashioned baskets filled with peanuts, nuts, cashews, chestnuts to a romantic couples holiday filled basket. The options are limitless, because you can give fully custom gift baskets! Another example of a ‘holiday’ gift basket could be for a social prize or corporate retreat gift basket. Your basket can contain such things as travel certificates, beach towels, travel mugs and more. Anything You Would Like We Can Make For You! 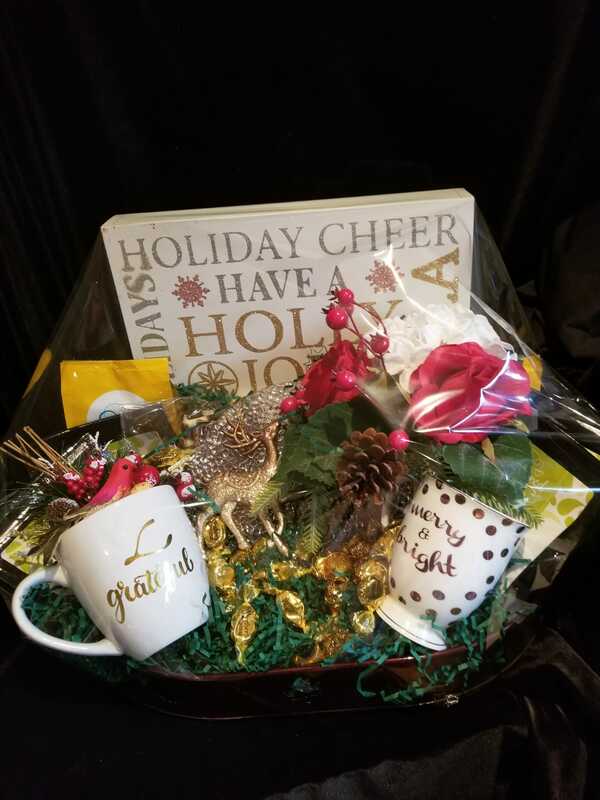 If you fancy coffee then our coffee gift baskets are custom designed to make your holiday enriched with flavorful aroma. Your choice of famous brands along with different flavors, plain, dark, mocha, vanilla and what’s more is that you can make your holiday especially aromatic. You can add a touch of uniqueness to your festivities with a holiday wine gift basket. The extensive ideas and customizations available at The Happy Basket Co. let you add a special essence to your holidays. These baskets are packaged to convey the exact message you are looking to send. All custom gift baskets are creatively designed with colorful and vibrant ribbons, bowes and imaginative decorations, so your gift is memorable. Some can include a cute toy for your special loved one. If you’re tired of plain ‘off the shelf’ baskets, then choose to have The Happy Basket Co. custom create a one of a kind memorable gift basket for your next holiday function. Holiday gift baskets from The Happy Basket Co are a great gift to give for any holiday occasion at anytime of the year. I am more than happy to give advice on which gift basket is most suitable for your needs, depending on your occasion. Why not ask for a free estimate and discuss the various options to make your gift idea special. Advice is always free with a smile! Ready For Your Holiday Gift Baskets?